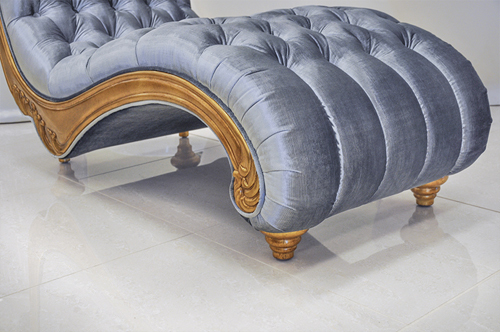 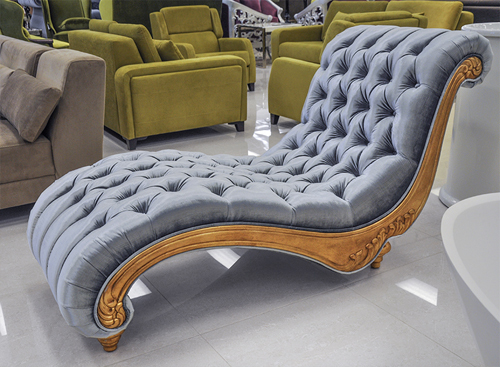 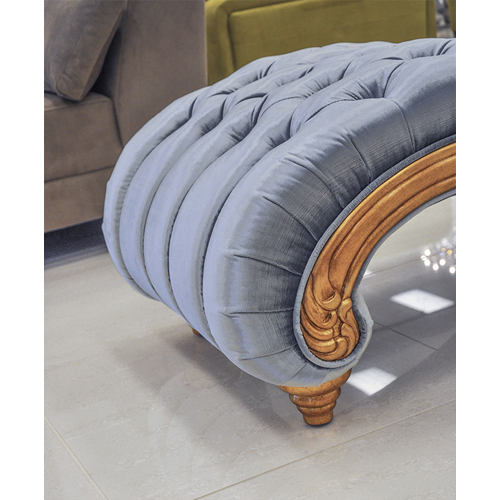 The Claudette Luxury Chaise Sofa provides additional elegance as it entices the senses to focus on its mesmerizing ornate, hand carved solid Birch wood frame stained in gold leafing to accentuate its Rococo modern furniture ancestry. 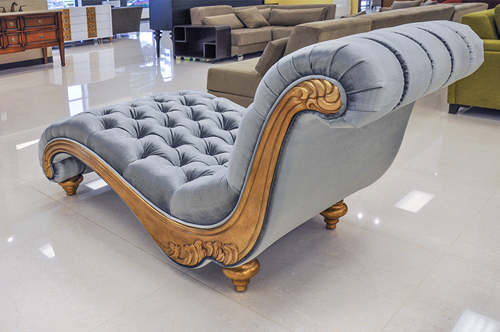 The Claudette modern lounge sofa offers comfortable, durable Baroque style with eclectic modern home design. 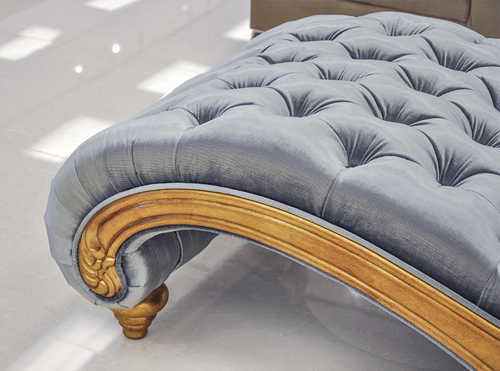 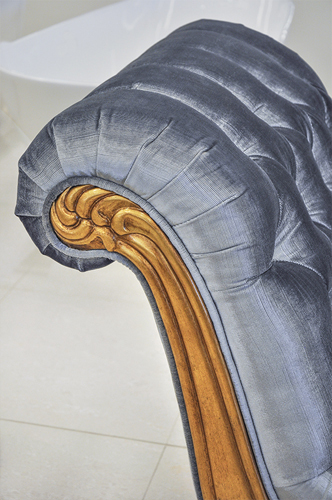 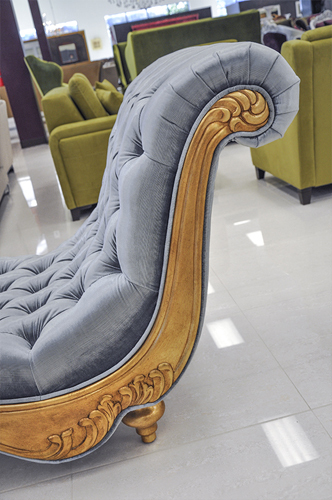 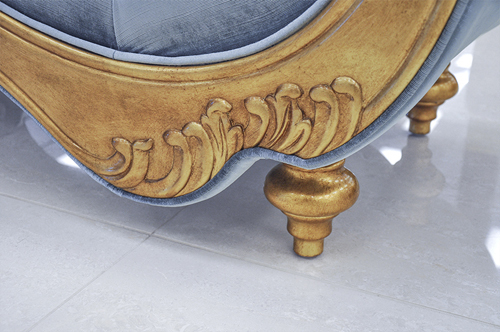 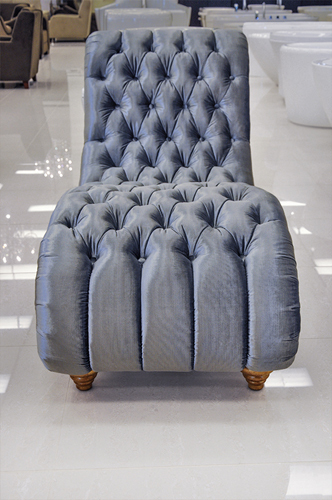 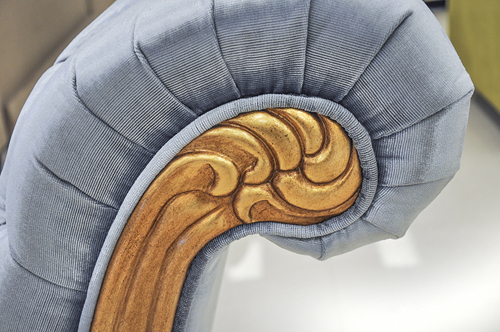 Its soft tufted velvet upholstered seat and back marry beautifully with the hand carved golden frame. 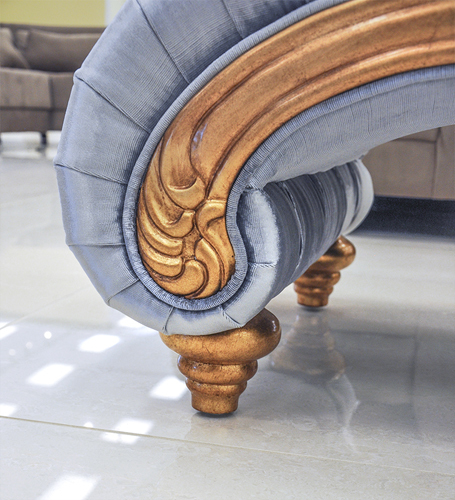 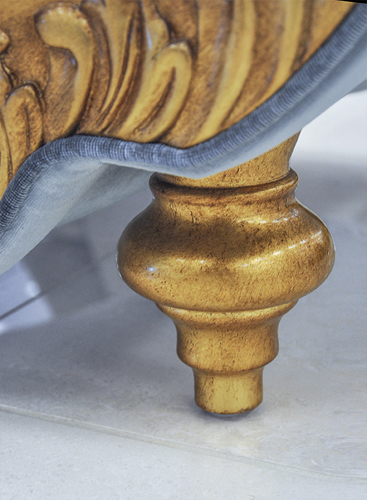 Modern trend and elegant style join to create a unique piece able to create infinite design solutions with existing furniture pieces or create a bold reference point in hallways or entrances in any home or commercial space.